A survey of investment advisers in the Middle East has found many of the region’s investment advisers are concerned about losing clients, amid an uncertain political future and increasing regulatory monitoring across GCC countries. The Middle East Investment Panorama (MEIP) 2016 survey, entitled ‘The Year of Reckoning?’ has been published by Insight Discovery, the Dubai-based market intelligence and strategic communications consultancy. In a statement announcing the publication of the survey, Insight points to a “major new problem” for some advisers in Gulf Cooperation Council (GCC) countries, with two in every three advisers that took part stating that they clients’ lack of willingness to commit to invest as a challenge. The current geopolitical situation is also seen by advisers as being worse than the Arab Spring of 2011 and new life regulations will impact advisers and asset managers. There are however, some positives including a “potential bonanza” in Saudi Arabia, according to the report. Nigel Sillitoe, chief executive of Insight Discovery, said: “This marks a major change. In the past, advisers have mainly been concerned by changes to the regulatory environment or competitive pressures. What we see today is that advisers are worried about their whole business model at a more fundamental level. “In a year that has already brought Brexit, the election of Donald Trump, and increasing turbulence throughout the Middle East, it is not surprising that investors are uncertain; but I believe this years’ survey marks a sea-change in attitude and a growth in risk-aversion that is unprecedented,” he said. Since its launch in 2010, Insight Discovery has dubbed its MEIP survey as its “flagship” annual publication. It seeks to generate commercially valuable and actionable insights for international and local asset managers and international life companies who want to deal with (broadly defined) investment advisers in the six Gulf Cooperation Council (GCC) countries – Qatar, Bahrain, Kuwait, Oman, Saudi Arabia and the UAE. 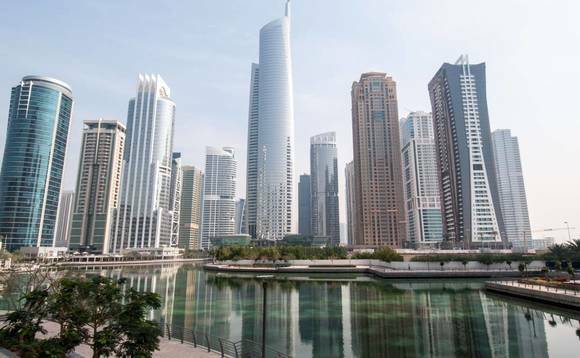 A key feature of the report is a discussion of the UAE’s new life regulations, by Clyde & Co., the legal partner of MEIP 2016, that are “arguably the biggest shift in the regulation of the UAE’s life insurance market in the modern era,” the statement said. Almost one in three advisers (29%) will be cutting clients’ exposure to GCC equities. To counter the threat of client risk-aversion, 70% see technology and electronic processing as a major opportunity, showing that they believe efficiency gains can compensate for macro-uncertainty. Brendan Dolan, regional director at Old Mutual International, said: “‘The adviser landscape is changing rapidly and it is important advisers adapt their business model if they are to survive in this new world. Insight Discovery highlights how advisers in the region are increasingly outsourcing the investment process to professionals. Salmaan Jaffery, chief business development Officer at Dubai International Financial Centre Authority, one of the Platinum Sponsors of MEIP 2016, said that in the current environment, providing investors with stable but flexible investment platforms can help build market confidence. Clients and advisers have become more knowledgeable and demanding, according to Jack Lin, head of Asia Pacific, Middle East and Africa, at Pioneer Investments. “We have moved into the “era of solutions”, where a rethinking of product design, risk management and portfolio construction is required,” said Lin. “Advisers are looking for “true” diversification with uncorrelated sources of return. They are also looking for a clearer separation between alpha and beta, and want true alpha to compensate for lower beta”. Sillitoe added that the report, in addition to these changes and threats, throws up a number of positives, such as the potential transformation that could arise from the Vision 2030 ‘roadmap’ for the development of the economy of Saudi Arabia and the Saudi government’s National Transformation Program (NTP). “In the conclusion of MEIP 2016, we identify a number of possible scenarios for advisers in the GCC region,” he said. “The next 12-18 months will cause problems for some advisory groups. However, there will be opportunities for many others. “Change brings opportunity as well as threat, and the ‘Year of Reckoning’ will sort the winners from the losers in the region’s advisory community,” added Sillitoe.